Unze summer footwear collection 2013 for women was released recently. Unlike the previous Unze footwear collection 2013, this collection has mostly high-heeled shoes and some wedge shoes. 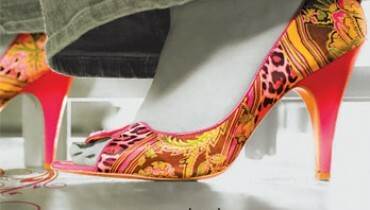 The stylish shoes in the collection mostly have straps and are quite colorful. Neon and fluorescent colors can mostly be seen in Unze summer footwear collection 2013. They will match many clothes in the summer wardrobe of women. Moreover, these shoes look really stylish and are great for completing an overall casual look. So, for stylish footwear for the summers, go for Unze summer footwear collection 2013 for women. Unze is a famous brand for footwear. It has been providing footwear for many years now. It offers different kinds of shoes like flats and high heels for women. Bags as well as other accessories are also provided by the brand. Now it is offering clothes for women also. 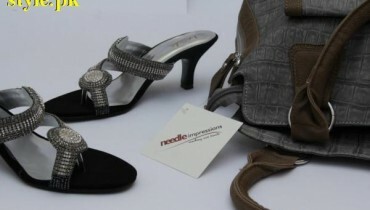 The brand offers quite stylish footwear and accessories for women. That is why, so many women like its stuff. It also offers shoes for men and kids. The footwear needs of men and kids are also fulfilled with a wide variety of shoes by the brand. For example, for men, it offers khussas, formal wear shoes and so on. The brand can be contacted through phone. The products of Unze can be ordered online through its own web-based shop. You can see pictures of some of the shoes from Unze summer footwear collection 2013 for women below. More shoes among Unze summer footwear collection 2013 can be seen on the Facebook fan page of Unze. The Facebook fan page of Unze also contains the contact details of Unze. So, for more information, the page of Unze Pakistan on Facebook should be visited. The address for the Facebook fan page of Unze is given over here.